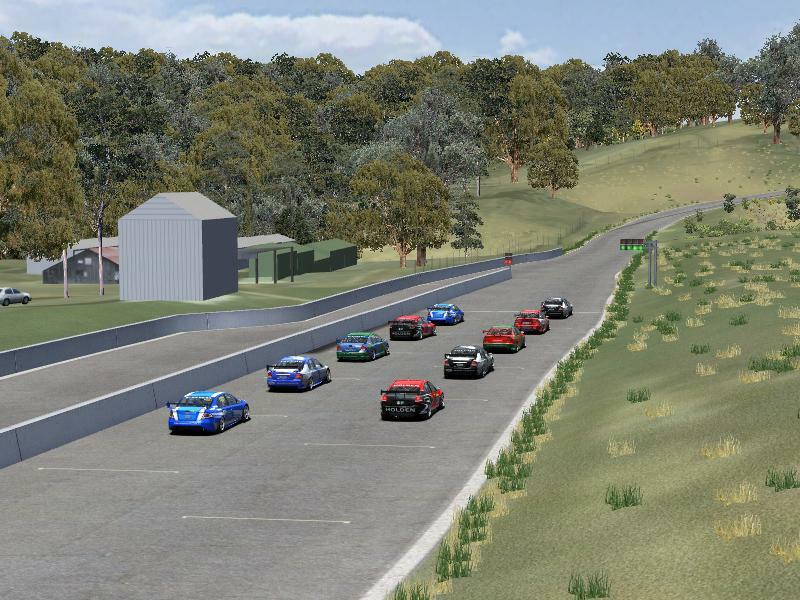 Broadford Motorcycle complex is Victoria's largest motorcycle racing venue, It houses one full size Motocross track, one Supercross track, a Dirt Oval Speedway track, an Enduro Course and the Road Circuit. The road circuit is rarely used for cars, but I figured it is well worth making and has turned out to be a short, yet challenging track requiring good patience and control. Note: My track has a lot of objects, mostly vegetation, lower end computer's performances may suffer. Enjoy And feel free to leave feedback! 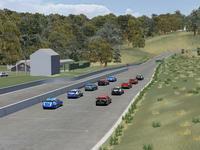 There are currently no setups for Broadford Road Course. Add a Setup. Please consider donating via paypal to doug@idtsimulations.com. I was at the 2nd round of the Vic hillclimb champs on Saturday and they also run the Broadford track in reverse. So a reverse option here would be great too. A great track by the way. Hey Callum, I've been working on Bryant park, have most of the new layouts done with with lots of fixes and updates to the track. Thanks Treza, nice job on the Track. Great work!, this track is part of our club championship this year and haven't driven there before, so I was interested in the layout. Any chance you could add extra routes/track direction options to the Haunted Hills (Bryant Park) circuit? Bleek beat me to it, this track has been released awhile ago, that said I will grab this one as well. I live 25 Mins from the Track, I think its great for older open wheelers, like a Formula Vee..
Well done mate, any others in the Pipe Line for rfactor 2 ? Cheers James that would be good, I've only been to Broadford once for the Honda Vintage Bike Show so I'm just going by what i can remember and what I can see from Google Earth. I just added another link then. The requested URL /www.megaupload.com/ was not found on this server. Any chance of fixing please?